The 2019 Audi A6 is one of the latest sedans to join the Audi lineup. This model has plenty of luxurious amenities that not only add value but also enhance your driving experience. We’re going to tell you all about this model and what it can do for you. 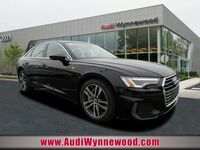 Check out the 2019 Audi A6 right here in Wynnewood PA. The 2019 Audi A6 comes standard with a 3.0-liter, six-cylinder engine that delivers 335 horsepower. That is a lot of strength, and it helps you and your passengers enjoy the ride with its gliding acceleration. It also has available sport suspension and lots of legroom, with 41.3 inches in the front row and 37.4 inches in the rear row. 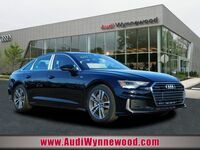 Now that you have a little more information about the 2019 Audi A6, we’re going to show you some of the highlights this vehicle has to offer. From entertainment features to convenient amenities, we will show you what this vehicle can do. Let’s get started. We hope we helped you find out more about this sedan. 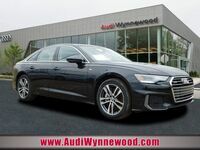 If you would like to learn more about the 2019 Audi A6 or any of our other Audi models, you can visit our online inventory to see what we have in stock and schedule a test drive with us at Audi of Wynnewood today. 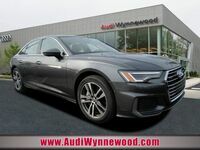 Interested in a 2019 Audi A6?